HubSpot is the marketer's number one inbound marketing tool. This all-encompassing marketing software can help you with landing page creation, email campaigns, social media scheduling and blogging. You can also track website activity and manage your content. The video below gives an impression which types of syncing can be made with HubSpot, for example MailChimp. For Hubspot, we need you to first log in to your Hubspot account in a separate window or tab, and copy your "Hub ID", to be found in the top right corner. When you click 'Authorize Hubspot', a pop-up window appears with a request to enter this ID, followed by a window asking you to authorize your account. You have to be a Super Admin to authenticate Hubspot. More detailed info about the HubSpot user permissions can be found here. If you already authorized Hubspot in the past or in any other PieSync integration, you'll be able to skip this step and choose from your CONNECTED ACCOUNTS. 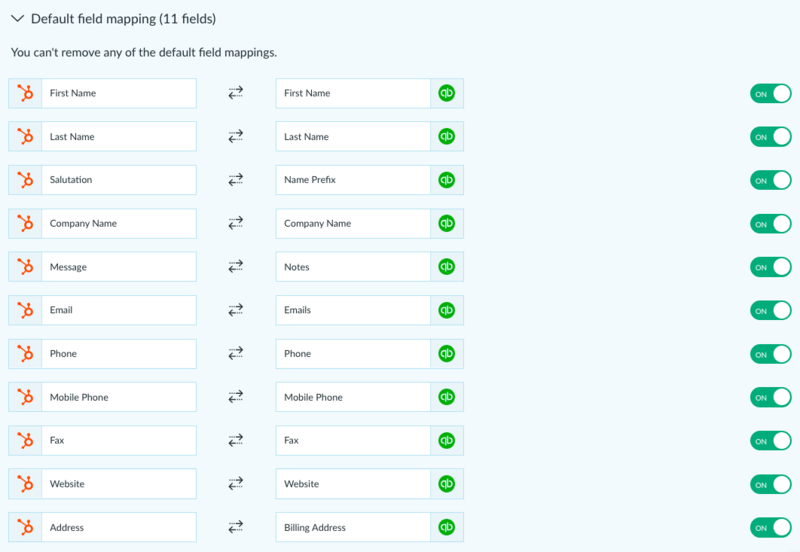 You can custom map your Hubspot custom fields and any additional standard fields that aren't included in the default mapping yet. Bear in mind a mapping between two fields can only exist if the types of fields are compatible. More information on Customizable Field Mapping here. There are no supported Hubspot integrations on the PieSync platform, that support our Unsubscribes/Deletions Sync*.